I finally got rid of converted the nasty old (and I mean old) mini-blinds that were hanging in my son’s room. 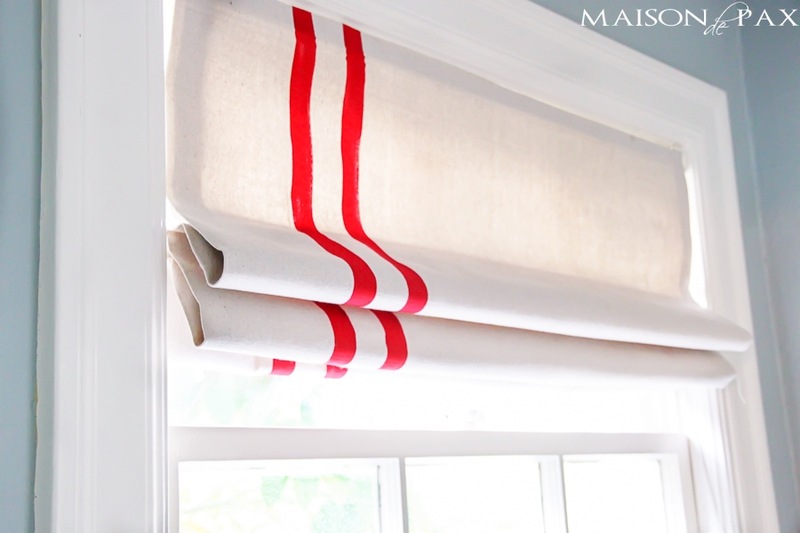 There are some fabulous tutorials out there (with much better process pictures than mine since I took them late at night while my boys were sleeping… it’s when I get my worst pictures best work done) on how to convert mini blinds to roman shades. I used this one mostly. 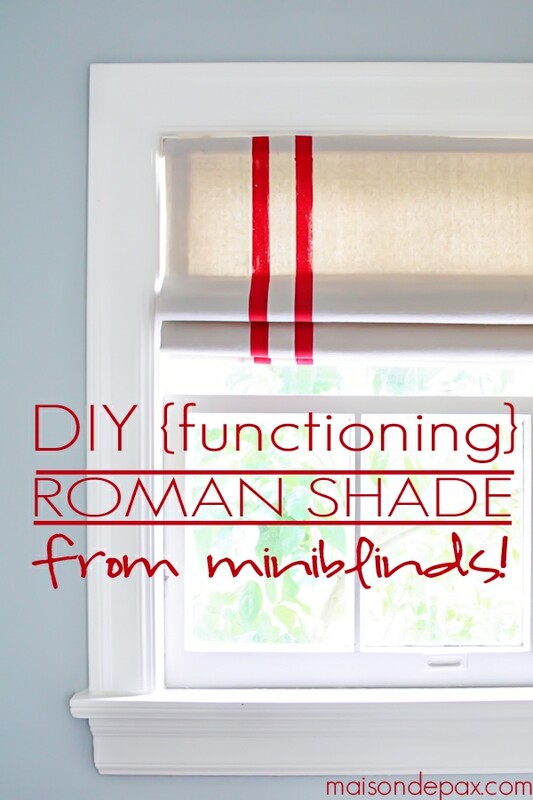 So I’ll spare you the mini-blind to roman shade tutorial, but I will share a few thoughts. 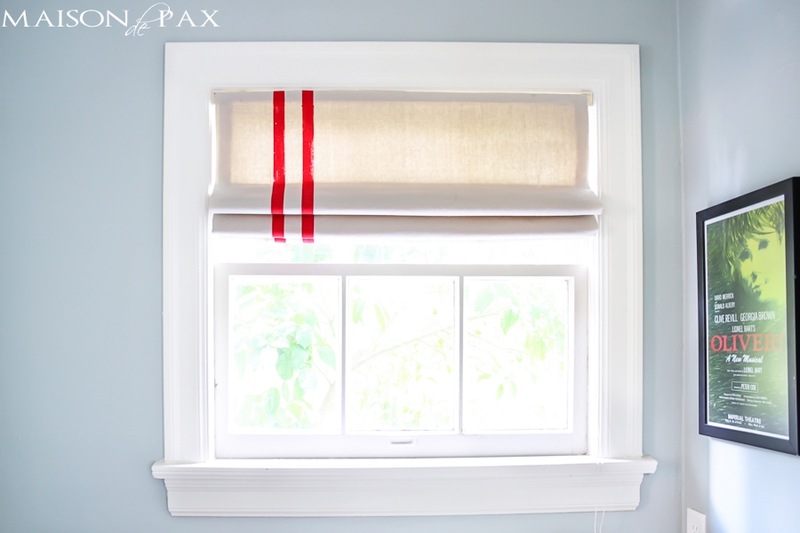 The best part is that I converted this for free since I used the mini-blinds, left-over drop cloth (from my smocked drop cloth curtains), and red craft paint (which I already had), and the curtain is actually functional. I wanted good coverage but was not concerned about a total blackout effect because this window is actually in an little alcove between my son’s room and his bathroom (hence the desk currently functioning as a changing station), so I used two layers of drop cloth. 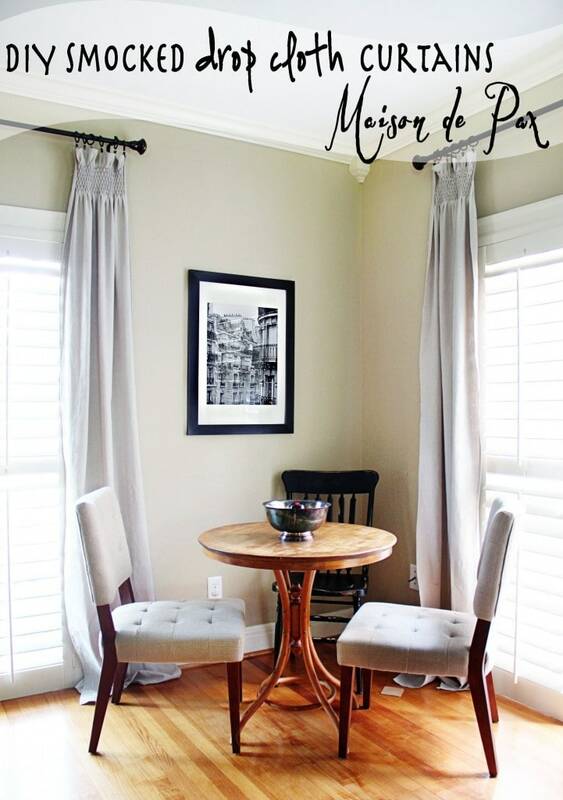 In retrospect, the drop cloth is a little stiff, making raising and lowering the curtain not as effortless as I would like. Our old mini-blinds were secured on either end with a little piece that flipped up in front of the crossbar. Since I’ve glued fabric to the front of the bar, I cannot latch the front pieces on the window hardware, meaning that if I pull too hard on the cord, the shade comes out completely. Not ideal, but not a big problem since we almost never bother to raise and lower this shade. So functionality is not perfect. But price? And look? Just what I wanted. 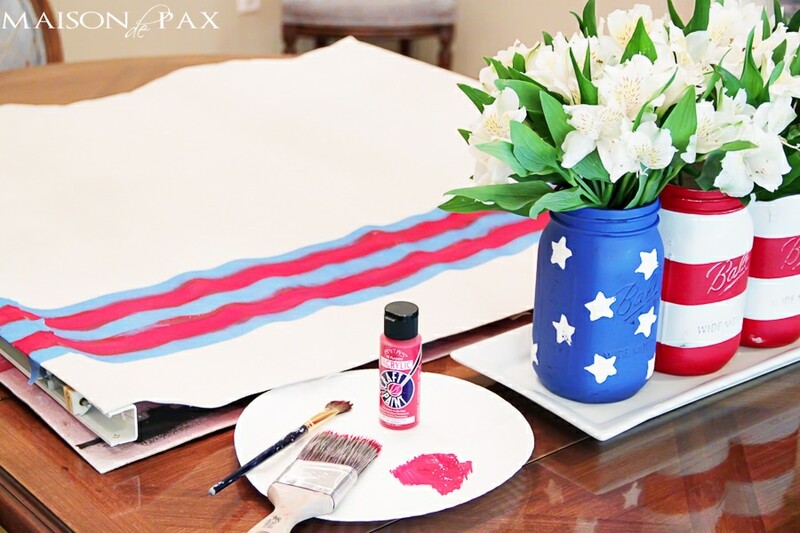 Little Pax’s room already has some plaid patchwork fabrics, so I didn’t want another busy pattern. I think the little red racing stripes (which I made using painter’s tape and craft paint) give it just the accent it needs. 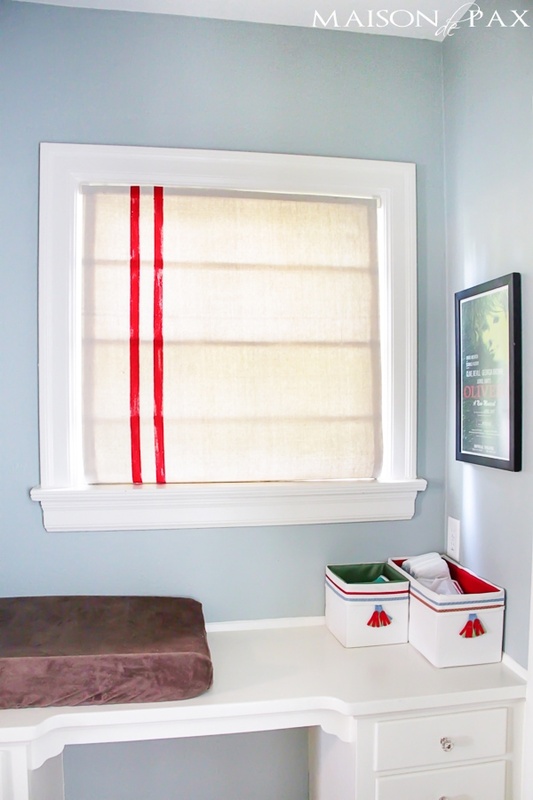 The light filtering through makes the drop cloth look like linen, and the stripes give it that bit of whimsy needed for a child’s room. I love it! What do you think? 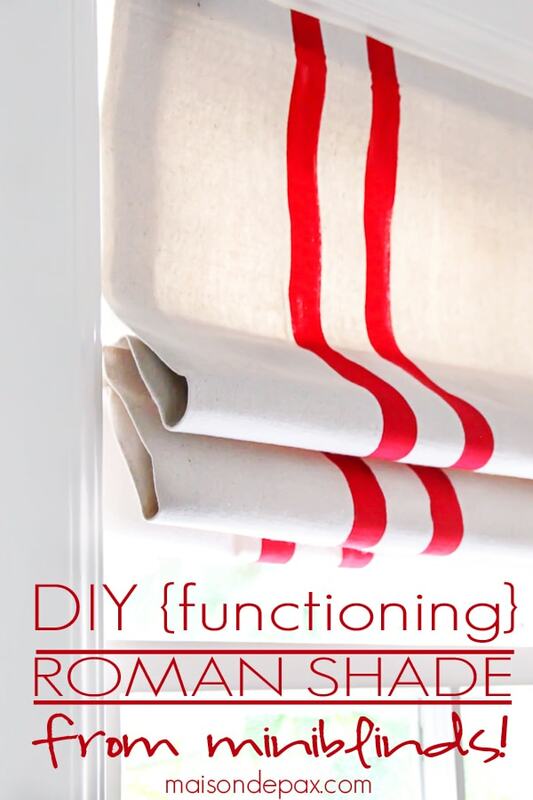 Has anyone else had problems with converting mini-blinds into roman shades? If you haven’t tried it yet, I don’t want to disparage the process. 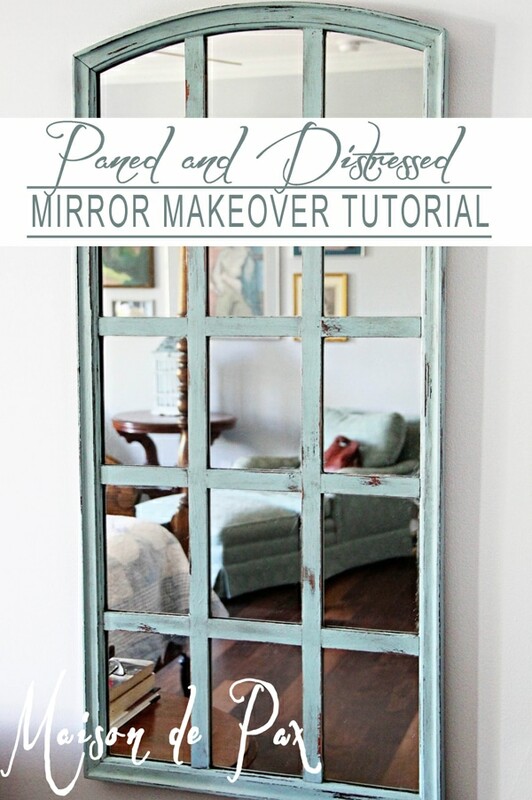 It was easy, free, and I love the result… it just doesn’t function perfectly. I also made some very similar to yours. Utility cloth was used and I totally agree about fabric stiffness. Wish I would have used a softer fabric. Yours sounds perfect for where it is located and its purpose.